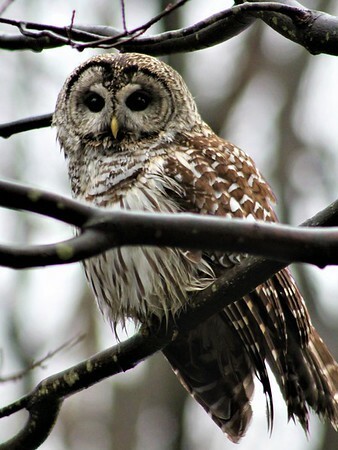 I received an email with a photo from Kathy Dube informing me that her husband, John, spotted a barred owl on the driveway near their garage on Thursday morning when he went to get their newspapers, one I’m sure was this publication because they are former Bristol Press reporters. John went back inside their Maxine Road home to grab his camera and by the time he returned outdoors, the owl had flown to a tree branch alongside their driveway. Mary Raedy Jaros, Jennie Quirk Raucci, Frank Ronzello, Beverly Perham Sharr, Janet Micari Soucy, Mary Jane Wolf Valentino, Donna Fusco Ventrella, Paul Vicinus, Ed Widun, Audrey Schilling Wilson, Beverly Strong and Al Zarrella. The board of directors of the Bristol Sports Hall of Fame voted in Bristol Eastern teacher and former coach Chris D’Amato as a member of the group at Thursday’s meeting at the Bristol Public Library. It was agreed by all that his presence will make the organization all the more solid. One of the interesting topics that evening was holding a sports trivia night in May. More to come on this. Let’s see who can answer these questions correctly: What was one reason Bristol went from a borough form of government in 1911 to city? What city or town in Bristol is closest to our population? Prior to the Mum City, Bristol was known as the “Xxxx City. Who is considered to have been Bristol’s greatest benefactor? How many state basketball championships did Bristol High coach Tommy M. Monahan’s teams win? What year and what public Bristol high school won the state football championship last? Who served as mayor of Bristol the most number of terms and how many was that? Who is Ben Street named after? Posted in The Bristol Press, Bristol on Sunday, 10 February 2019 19:54. Updated: Sunday, 10 February 2019 19:56.